Have you always wanted to spend a day drooling over the latest in mountain biking technology and then taking a select few for a thrash around some of the highest rated trails in the country? 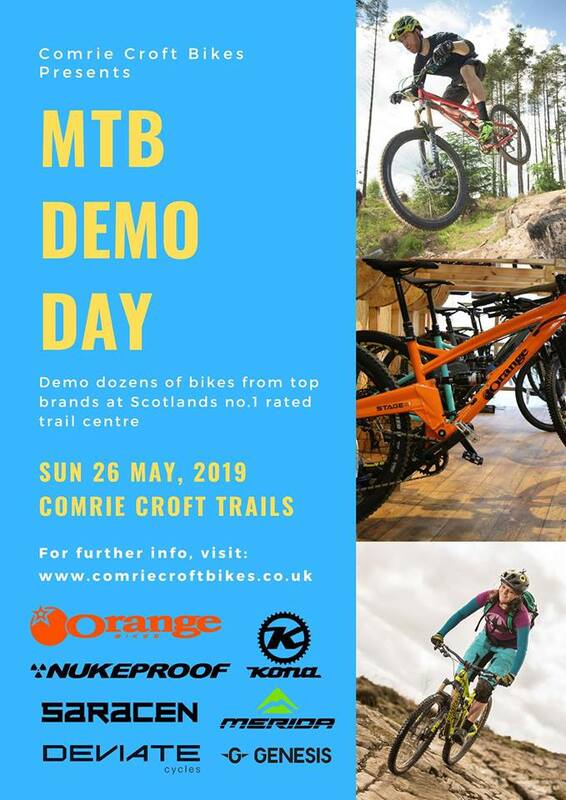 There’s only one place for you to be on Sunday 26th May – Get yourselves along to the Comrie Croft Bikes mountain bike Demo Day. We have invited all of our favourite suppliers along so you can see the very best of what is on the market. Get your space reserved now!